The Asus RT-AC88U and the Asus RT-AC5300 are both routers designed to give you a better WiFi signal in your home. Both models have similar technology, so how do you know which router is better? We have compiled a list of the main features of both the Asus RT-AC88U and the Asus RT-AC5300 to compare them and see which one comes out on top. 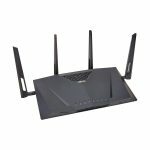 The Asus RT-AC88U is a dual band router that will give you speeds of up to 1,000 Mbps at 2.4 GHz and up to 2,100 Mbps at 5 GHz. The Asus RT-AC5300 is a tri-band router that can offer speeds of up to 1,000 Mbps at 2.4 GHz and up to 4,334 Mbps at 5 GHz. Both the routers feature NitroQAM technology that allows for faster processing speeds and faster downloading and streaming. Both models have 1.4 GHz dual core processors that are able to process large amounts of data at rapid speeds. 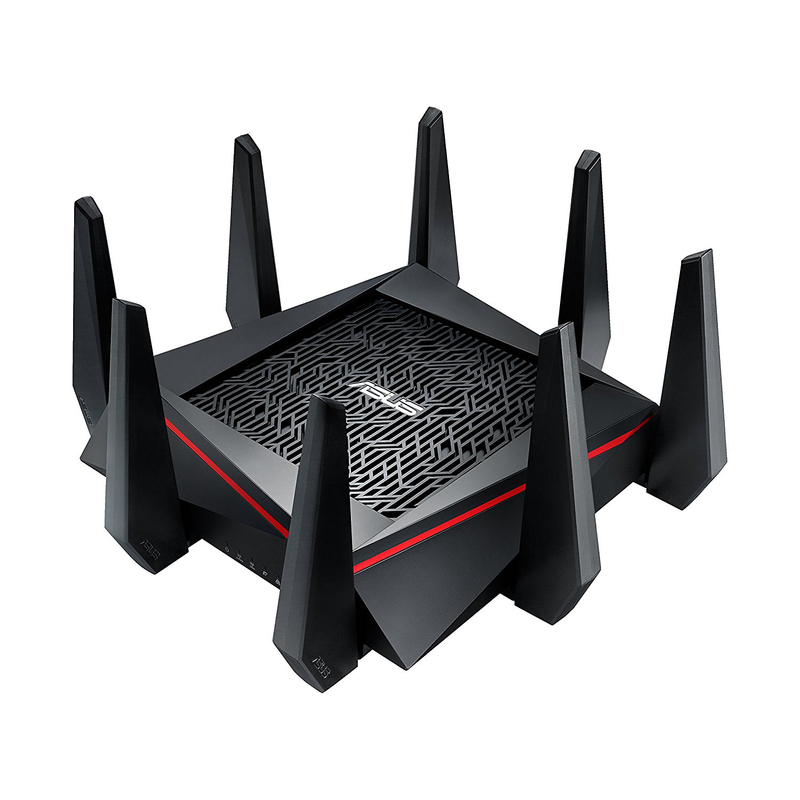 Both routers feature Smart Connect technology that automatically assigns your devices the best connection, switching them between the bands, with the Asus RT-AC5300 having the benefit of an additional 5 GHz band. The Asus RT-AC88U and the RT-AC5300 both have MU-MIMO technology that will allocate each of your compatible devices with its own fast speed connection without slowing down your network. 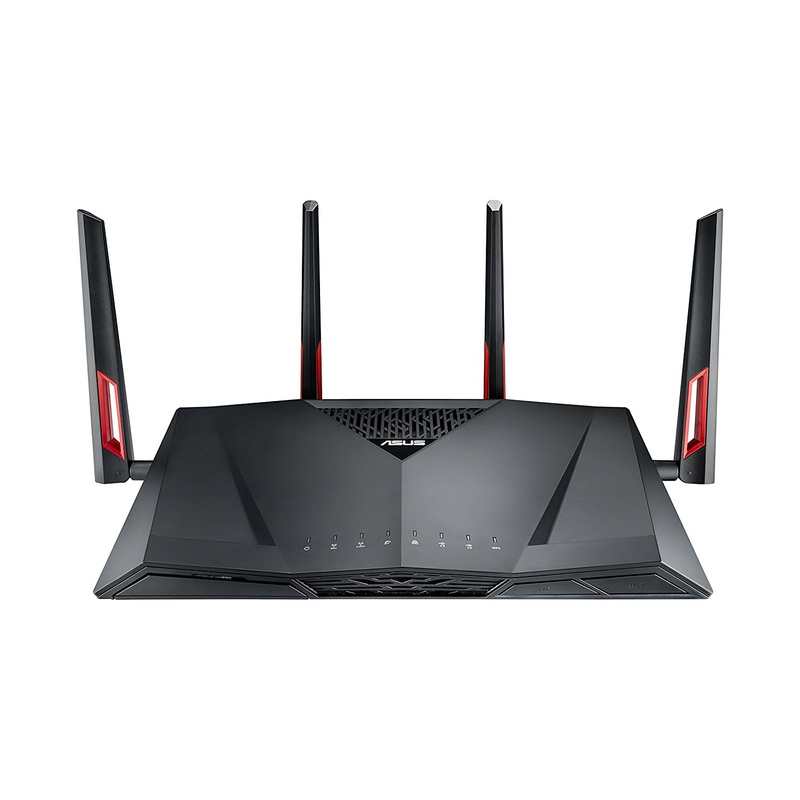 Both the Asus RT-AC88U and the RT-AC5300 have WTFast technology that gives gamers access to the Gamers Private Network (GPN) that reduces ping times and allows for quicker responses during gaming. Each of the routers comes with advanced security settings, AiProtection, which automatically secures your network from malicious threats and helps to block the transmission of any personal data. With both routers you can set up user accounts for each individual in your household and set time limitations and site restrictions for each. Each router will let you access your network and security settings through an app on your phone, making it easier to manage. The Asus RT-AC88U and the Asus RT-AC5300 have similar connections, with each having both USB 2.0 and 3.0 ports. The Asus RT-AC88U benefits from having 8 gigabit LAN ethernet ports as well as one WAN port, compared to the Asus RT-AC5300 which has 4 gigabit LAN ports and one WAN port. The two routers feature 8 antennas, with 4 transmitting and 4 receiving, giving you a stronger WiFi signal across your home, up to 5,000 feet from each router. 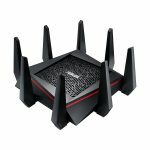 After looking at the features of both the Asus RT-AC88U and the Asus RT-AC5300 we think that the better router is the Asus RT-AC88U. It has twice as many LAN ports for connecting wired devices and benefits from being less expensive than the Asus RT-AC5300. The Asus RT-AC88U still operates on the same bands that the RT-AC5300 does and still manages fast speeds for multiple users. It also has all the same security features, making it the better value router and the better choice.